On May 20, 2014 producer Sonix The Mad Scientist released “Next Level,” a collaboration featuring DMC and Grammy award-winning Blues artist Sugar Blue. The track includes elements from Muddy Waters’ “Mannish Boy,” and Sonix credits Blues music for its impact on Hip Hop and other genres. 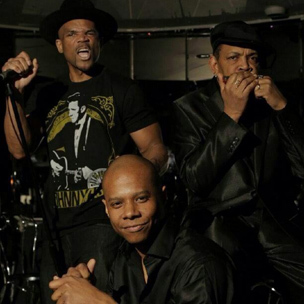 As a member of Run DMC and as a soloist, DMC has incorporated elements of Rock and Gospel into his music. Sonix says he and DMC crossed paths in 2005 and the pair have stayed in touch and worked together since the Queens emcee complimented him on his production style. In 2009, Run DMC became the second Hip Hop act inducted into the Rock and Roll Hall of Fame. Sonix expressed his gratitude for DMC and Sugar Blue joining him on the track. The single “Next Level” by Sonix The Mad Scientist featuring DMC and Sugar Blue can be streamed via YouTube below.